German driving laws – fines for speeding, drunk driving, parking violation etc. Regarding the question, whether Germans are considerate or rather reckless drivers, everyone will have a different answer after a visit to Germany. That is not surprising considering there are after all 43 million registered cars in Germany, whose keepers have very little in common. Therefore, the „German driving style“ can hardly be evaluated, because there is no such thing as „a German driver“, needless to say. According to a recent survey conducted by an insurance company, 96% of all German drivers consider themselves as „very good“ or at least „quite good“ drivers. Admittedly, the number of traffic deaths is declining every year, but nevertheless, the proportion of traffic deaths in other countries like the UK or the Netherlands is still smaller than in Germany. In spite of that, you can give credit to the Germans that only a sixth of the 43 million car drivers has got so called Punkte in Flensburg (points in Flensburg). It is recorded on the Flensburger Konto (account in Flensburg), if someone committed traffic violations like speeding. The bigger the hazard caused by the misbehaviour, the more points will be recorded on the account. If a traffic offender has gathered 8 points, he or she must hand in the driving licence permanently. Do I need a German driving licence? Under German law, foreigners travelling through Germany are able to collect points in Flensburg as well, if they commit a violation according to the schedule of fines. The rules regarding the points apply to foreigners just like to natives. Additionally to the points, there are further penalties which can be imposed on foreigners. For instance, a fine which is sent as a penalty notice in foreign countries as well. If the recipient does not pay the fine, it will also result in enforcement proceedings – at least in the EU. Furthermore, car drivers who committed certain violations like running a red light may be punished with a temporary driving ban which usually lasts for one to three months. The German schedule of fines is a unified compilation of all German traffic violations and fines according to German driving laws. In here is also stated which penalties are inflicted for the different violations: which fine is imposed, if there is a driving ban and how long it lasts or how many points in Flensburg are being recorded. Furthermore, the German law states that criminal offences like drunk driving can already result in the revocation of the driver’s licence – even if the offender has not gathered 8 points on the account in Flensburg yet. A so called MPU is one of the steps to regain the driver’s permit. It is short for Medizinisch-Psychologische Untersuchung (medical-psychological examination) and requires a report which must attest the offender a more careful driving style in the future. It is often not that easy to receive one. As long as this report is not issued, the offender cannot drive a car in Germany with his or her previous driver’s licence. In this instance, the traffic offender can lose his or her driving permit abroad as well. The EUCARIS (European Car and Driving Licence Information System) has the data of holders of a driver’s licence from many European countries and provides authorities abroad with it. Thus a driving ban can be enforced there. If this really does happen, cannot generally be said; it is also possible that only the violation of „carrying a driving licence“ is punished abroad, while the criminal offence „driving without a driving licence“ does not exist there. German driving laws allow for two different kinds of driving bans in Germany. In the case of a temporary driving ban, the driver’s licence will be revoked as a penalty for a period of up to three months. Afterwards, the holder reacquires it. This procedure is also legitimate with a foreign driver’s permit. Even if someone is in Germany for just a short time – as a tourist for example – and is punished with a driving ban, the traffic offender cannot unmake it by leaving Germany without complying with the penalty, because the offender can be charged with driving without a licence upon re-entry into Germany, if the person is driving a car. This is a criminal offence by German law which is punished with a fine or even a prison sentence of up to one year. A permanent driving ban for the holder of a foreign driver’s licence is regulated by section 69b in the StGB (German criminal code). It states that the preliminary permission to operate a vehicle in Germany with a foreign driving permit is revoked with the driving ban. 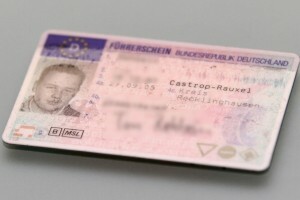 Furthermore, it is not possible to get a German driving licence within a retention period set by the authorities. If the offender is from an EU country, his or her seized driver’s permit will be sent to the appropriate authority there. In some cases, it might be sent to the home address of the offender. If not, the ban will be noted on the licence itself – it will not be valid anymore in Germany. Someone who drives a car in spite of that, commits a criminal offence: driving without a licence will not be treated as a traffic violation according to the schedule of fines, but as a offence as per German law. That means it will be taken to court. Needless to say, you cannot drive without a licence abroad as well, but the legal consequences differ from country to country. Someone who is staying in Germany for extended periods of time and is driving a car there may want to get a German driving licence. According to German driving laws, this is not necessary in most cases, though! The foreign driver’s licence is valid in Germany in the first few months, especially if you are from an EU country. 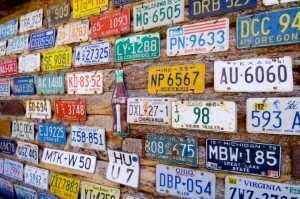 You should check the age limits for the different kinds of licences in Germany. A driver’s licence class C1 and C1E is only valid in Germany until the holder is 50 years old, otherwise such a licence is invalid. Drivers from one of the member states of the EU or a contractual state of the European Economy Area (EEA) will have less problems having their foreign driver’s permit validated in Germany. Here, a translation of the driver’s permit into German is not necessary. A driver’s licence acquired and issued in such a country will still be valid, if the holder registers a new place of residence in Germany as per German law. But heads up: the termination date of the driving permit remains valid! Possibly, you have to request an extension at the German authorities. Since the processing will take some time, you should contact the authorities opportunely. You will receive the German documents together with the extension of your driver’s licence, provided that your registered residence is in Germany and you spend there at least 185 days a year. So a driver’s licence which was issued within the EU is usually applicable in Germany without any problems. If you have a foreign driver’s permit, though, which was not issued in a EU country nor an EEA country, we strongly advise you to get professional consulting at your local admissions office. According to German driving laws, your current driver’s licence will be valid for the first six months you have registered a German residency, then it will expire. You will have to apply for a German driving licence in due time. The regulations for acquiring the German driving licence depend on the country the original driver’s licence was issued in. You can find out the regulations for your country at your local driving licence office. Provided that you are not staying longer than a year in Germany, you can get a special permit there; thereby you do not have to get a new licence. This special permit must be recorded in your documents; otherwise you might get into problems at a traffic check. Germany has a speed limit of 50 km/h within built-up areas and 100 km/h outside built-up areas like most European countries. On the other hand, there is no speed limit on the German Autobahn (motorways) – just a recommended speed of 130 km/h. Car drivers have to drive accordingly to the weather conditions. For instance, ice and snow make it necessary for drivers to drive slower. Consistently, there are heated discussions on establishing a speed limit on the German Autobahn as well. Up to now, this is not the case though. However, there are traffic signs indicating a speed limit at many street sections. 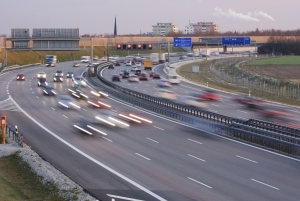 Drivers who are speeding in Germany may be caught by a speed trap. The driver must be recognizable on the photo which is automatically taken by the radar trap, since the driver is liable for most violations in Germany in contrast to other countries. Therefore, the registered keeper of the vehicle does not always receive the penalty notice, but it must be undoubtedly clarified on the basis of the photographic evidence that the suspected person was in fact driving. Overall, the German speeding fines are rather small compared to other European countries. The following table contains some violations against German driving laws along with the related points. The table also shows which fines are inflicted and if a driving ban is imposed. Many tourists do not know the regulations when it comes to parking in Germany. That is not surprising, since there are a lot of rules to follow: it is stated in the StVO (German driving laws) that it is forbidden to park 5 m in front of crossovers or side roads. Lowered kerbs are also off-limits. Moreover, drivers are supposed to park in a space-saving way and must not park in front of a drive, bus stop signs or on manhole covers. Overall, parking is not allowed in a lot of places pursuant to German driving laws. If these regulations are violated, the driver will get a parking ticket. Parking is permitted at places with a blue traffic sign with a white „P“ on it. Sometimes you will have to get a pay and display ticket first, though. in your car. This equipment is obligatory in Germany just like in most EU countries. Furthermore, the condition of the tyres is sometimes checked. The minimum tread depth in Germany is 1.6 mm as per German law; it also is mandatory to have winter tyres, if the weather conditions dictate it. There is a seatbelt requirement in Germany: all passengers must wear a seatbelt while driving. By the way, this also applies to coaches! Passengers of full age are punished with a fine of € 30, if they did not wear a seatbelt in a moving car. In accordance with German driving laws children smaller than 150 cm have to be double secured: with a seatbelt and a child’s seat. As soon as one of the obligatory safety measures is violated, a fine of € 30 is inflicted. If a child is detected with no safety device whatsoever, the driver will have to pay a fine of € 60 and will get a point in Flensburg. If several children are not secured at all, the fine will increase to € 70. It is undisputable that the consumption of drugs and alcohol limits the ability to respond. Therefore, the risk to get into a car accident increases enormously. This way, you not only endanger yourself, but also other road and transport users. The German alcohol laws and the German drug laws are very strict, thus the punishment for drunk driving or drug driving is particularly harsh. The fines go from € 500 to € 1500. Additionally, long driving bans are imposed and multiple points. A driver who is caught with 1.1 mg/ml even commits a criminal offence and is taken to court. 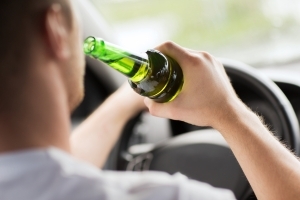 A car driver who is at least 21 years old and has his or her driver’s licence for at least 2 years has a legal alcohol limit of 0.5 mg/ml. There is no traffic violation existent up to this limit, as long as the driving style is not suspicious or endangers others. Adolescents under 21 have a legal limit of 0.0 mg/ml: they are not allowed to drink any alcohol, if they want to operate a vehicle afterwards. The use of marijuana is also prohibited by law in Germany. Therefore, drug driving can not only result in prosecution, but a driving ban as well. Most of the violations mentioned in the schedule of fines refer to drivers of power-driven vehicles. Pursuant to German driving laws, pedestrians and drivers of non-motorised vehicles can receive a penalty notice as well, though. Cyclists whose bike is not equipped with the proper lighting have to pay a fine of up to € 25. Pedestrians have to pay a warning fine of € 5, if they cross against the red light. Cyclists get a point and a fine of € 60 for this violation. Helmets are not mandatory for cyclists in Germany. By the way, a ride with the bike with over 1.6 mg/ml or a suspicious driving style with at least 0.3 mg/ml can already lead to a criminal charge! Additionally, the offender gets 3 points. German driving laws are only slightly different to the regulations in other countries, since all sets of rules like the StVO are intended for the same thing: increase traffic safety so most accidents can be prevented. Car drivers who are on the road in Germany can only do little wrong, as long as they stick to the prescribed guidelines in section 1 of the StVO: All road and transport users are urged to be considerate of others and drive carefully at all times. Everyone who takes these principles to heart will have no problems while driving in Germany or elsewhere. unfortunately we can’t tell you exactly which consequences you will have to face. Usually you have to pay a fine of 500 euros if they caught you the first time driving with drugs in your system. A driving ban is also possible. We would recommend you to wait until you hear from the authorities. 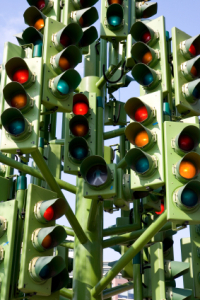 I ran a redlight unknowingly, due to the confusion of two red lights next to next. Definitely after way past the initial seconds and got flashed. What am I ought to expect? it depends on how long the red light was actually already on. If it was on for less than one second, you have to pay 90 € and you will get one point. It is was on for more than one second, you will have to pay 200 €, you will get two points and there will be a driving ban that lasts one month. it is hard for us to evaluate your situation, since we have no specific details on your case. My girlfriend is from Uruguai, she was in Portugal with me, and she has an temporary residence Visa for Portugal, until May 2018. I´m from Portugal and due to my work I had to move into Germany. She will join me in the next times, to live with me here in Germany, she will register at the city and start/ apply for a VISA here. Question is: Can she drive here ? is it 6 months valid here since she is registered here or as she was already more then 6 months in Europe (Portugal), she has no right to drive here? your girlfriend’s current driver’s licence will be valid for the first six months from the date she has registered a German residency. Then it will expire. I am currently in Germany on vacation. I was driving in Munich and the road we drove to our place goes from 50km/h – 70km/h. I thought that the second i was on was a 70km/h speed limit and speed up. Unknowingly Police officers were on the side of the road and pulled me over. They said I was doing 79 in a 50 zone. I didn’t argue as I know I had made a mistake . I was asked to do a drug test and alcohol test. (passed both) and was made to pay 125€ on the spot. I want to know if I will receive points in my license. I do plan to come back to Germany. I am from outside the EU. Another question. After getting home I had realized I could not find my Driver license.. Some how the time I need it most it is no where to be found. the police officer said I have 10 days to bring all my papers(passport/drivers ect) to the police station. I have contacted my embassy to request temporary papers but they say they can not help me.. what would your advice be on this matter? I have certified copies of my drivers license but the local authorities don’t accept paper copies apparently. Would it be possible for me to leave and apon my return I go to the police station and show them my drivers card? you can get points in Germany, but normally they apply only in Germany, not in your home country. If you cannot find your license, you have to expect another fee. Please contact the administration or a lawyer to discuss the best procedure. Hi, I got caught with 0,41 per milliliter. I had to do the test twice as the machine apparently was not working that well and in my declaration I said I was in a „x“ street and was moving to „z“ street, but they wrote wrong addresses. At the end the alcohol level could hardly decrease under 0,5 per milliliter, but is it possible to claim a reduction of the penalty fee? Instead of 500 Euros, maybe 250? If not, is it possible to pay the fine over a period of time? maybe 4 payments of 125 Euros? you can request paying the fine in istallments. A lawyer can advise you about your chances concerning an objection against the accusations. My alcohol level was effectively 0,41mg/ml, but it shows that the limit is 0,25mg/ml. This article mentions that the limit is 0,5mg/ml. It happened in Bavaria, are the limits different in this state or did the limits change recently? normally, the limit is 0,5 per mill. But it can varies, for example if the driver was impairing the safety of road traffic. I was over taking a bus on double lane before it was going to be single lane and had to pass over the Hatching marks on the road to over take the bus to avoid danger. Speed limit was 120 Kmph and I was within the limits. Will I get fined if yes how much? if one drives over the boundary of the lane while overtaking another car/bus etc., this can provoce a fee of 30€, generally. Is it fine to carry a small kid (2 years old) on Passengers lap? We have 5 seater car, but number of travellers are 6(5 adults + 1 2 year old kid). no, that is not allowed. There can only be as many passengers as there are seats. Furthermore a child has to sit in a special infant car seat. During a recent trip to Germany, I rented a car. The car was rented under my name, but when my friend was driving, he was speeding and caught by camera…twice! Once for 16km over and another time for 40km over. Today I received the first ticket in the mail for €25 that shows his face in the photograph. I expect another one to come shortly. 1. Is there a way that I can have the name corrected so that I don’t receive any penalty/points? I’d like his name to be on the record, not mine. 2. What are the implications of having points? I travel to Germany 1-3x per year for work and need to drive while I’m there, so I don’t want that to impact my ability to drive on my next trip. you can file a protest, putting on record that it’s not you driving (like you can proof on the basis of the picture). You can send the protest directly to the authority. In Germany having points means that the authority registered a minor breach of the law. To many points can cause for example a ban on driving. I was driving the A2 today and got the Blitz from the camera, there where no marks of speed limit from the interchange till the camera (about 1-2km away from the interchange or less), I was driving 130km/h at the time…. I know that every blitz have a ticket so I just wonder – how can I prove that there where no signs of speed limit and only the blue mark of the Autobahn (at the Airport it’s usually states 130km/h). Can it be that on the A2, before the interchange, there are speed signs and drivers need to figure it somehow? normally, there are signs if there is a speed limit. Please contact a lawyer if you want to file a protest. you can find the fines in the table (In town) above (https://www.bussgeldkatalog.org/german-driving-laws/#speed_limits_in_germany). you will have to pay 120 € and you will get a point in Flensburg. There might be further sanctions. I’ve had my driving license taken away due to drink driving, of which I’m ashamed and have a 15 month ban, it was my first infraction in 30 years, no fines what so ever. My license has been sent to the UK, I know I have to pay the fine which I am and to be able to drive in germany again I need to do the MPH, but if I want to leave germany how do I get my license back when the 15 months are up. the driving ban is only in force in Germany. You should be able to go back to the UK and pick up your licence there – that is if your violation does not have any consequences in the UK. I am student currently studying in Germany, I have been in Germany from past one and half years but I was not driving. However recently when I went back to my home country, I got myself a international driving permit. Which is valid for a year ( till March 2019). My student visa expires on December 2018. Can I drive till it gets expired in Germany and in other EU countries?? Recently I was stopped by police on the Autobahn when I was traveling to Austria from Germany. They checked all my papers and license they said everything was fine. I just want to reconfirm. I am not sure if I will stay in Germany after I complete my studies. Hence, I don’t want to apply for German Driving License. if you are already living in Germany for more than six months, your driver’s licence is not valid anymore – but you can apply for an extension if you will not stay in Germany for more than twelve months. If you are only visiting this rule does not apply. Allo allo … My Friends was taken in a police razzia recently after going home from a festival and was tested positive for several narcotics in his blood, no alkohol though. A deposit of 850€ had to be paid, and we had to wait 24hrs to be able to pick up the car and drive away. What can he expect? And is German penalty’s givin over to danish police for even more struggles? it is likely that there will also be a driving ban for one month, which would only be valid in Germany. It could be possible that the German authorities inform the Danish authorities about the incident. When do you have to pay the fine or penalties if you are stopped by a police officer? you can pay the fine right to the police officer or after you got the ticket with the post. Germany operates a point system for driving offenses, what happen if you receive four? What is the most common way to get a ticket in Germany? If you will be establishing residency in Germany, for how long is your driver’s license is valid? When operating a vehicle, you must carry what in addition to a valid driver license or provisional license? What does it mean if he has one hand in the air? normally, you get your ticket with the post. When you have eight points, your license will be withdrawn. After you moved to germany, your license is normally valid for 180 days. While driving, you need to have your license and the car documents with you. If a traffic policeman is not waving you to drive along, you should stop for security. I went on a holiday to Europe in 2015 and was distracted and caught speeding in Cologne in a hire car. I received a notice several months later. My German is pretty terrible and I couldn’t see any € amount and I’ve kept on putting it off. Apart from possibly wanting to go back at one point I hate that it is hanging over my head. I can’t seem to find the notice and I am worried that there may be more than the one fine. Is there a central registry? What would be the best way forward from here? there is no central registry. You have to contact the authorities that are responsible for the area where the incident happended. Perhaps you could also contact the rental car company for further information as they would have been informed as well. Ho, i got flashed today by a camera in a zone 30km and I was 41km, how much the ticket would be? And how can I pay it? you will have to pay 25 €. You will get a penalty notice in which you will find information about how you can pay the fine. What are the consequences of driving without a license in Germany? that is hard to tell because it depends on the individual circumstances. You will receive a fine at least. Hello, I have been caught in BAB 3, km 48,050, Gem. Neustadt/Wied, FR Koln, last year on the 30.08.2017 at 11:24. Unfortunately I have not payed so far. Can I know how can I pay it now and how much will the penalty be? Thank you. we cannot predict the exact penalty, because that differs from case to case. You will get at least a fine around 200 to 400 Euro. Additionally, you might get problems with your insurance. I got a camera flash when passing a construction site. This is out of town in B10. The limit is 50km/h, while my speed is around 68. How much fine can I expect? your fine will probably be around 30 Euros. Since it was near a construction site, it might be a bit higher. Hi ,My husband got drunk and hit a parked car in the mid night,no body got hurt,this is his first time doing like this,what consequence he may get? he will get a fine at least. But we cannot predict the outcome for sure. I have recieved a fine for speeding on the A7, which I believed is an autobahn and therefore had no limit. I was doing 125km/h and they state the limit was 80km/h. I live in the UK and was driving a hire car in Germany, I will return the form with my details but wish to know how I would have known of the reduced speed limit and what will happen now. They have said my licence will be suspended for one month, is this my UK licence? the reduced speed limit is shown by traffic signs. The driving ban is only in force in Germany. Normally you have to give your licence to the german authorities who send it back with a sticker that says that there is a driving ban in Germany. really???? a camera hidden in bushes at the bottom of a large hill . I was driving an HGV from a race meeting now been sent a photo .Don’t know what the fine is?? The speed limit said 70 I was doing 67. not realising that in Germany a single road is 60 it’s 80 in the uk that’s what caught me out. What will I be expected to pay for 7km over??? I’ve just driven through an amber light through a cross-roads and I got flashed, but I think I was possibly about 20-30km/h over the limit too (50 limit, not sure if in city limits, probably knowing my luck and stupidity) Was I flashed for the speed? Surely not the amber?? Unless it switched red as I was crossing? Would that red light have triggered a flash too and so will I get sanctioned for that? What penalties do you think i will face? Also I’m driving on a UK driving licence, been registered in germany and living here for 8 months. I’ve been under the impression that my licence is valid but now I’m worried! The address on my UK licence is a valid address for me (parents address). you will probably be charged for the speeding. The penalties are listed in the text. Your license should be valid. I recently got my driving licence. So I went for a test drive of a car with my friend. While taking the vehicle for test drive, I gave my credentials as proof. My friend also drove for half of the distance while test drive and he drove unknowingly into einbahnstraße and continued. Then while going out of the einbahnstraße i felt he jumped the red light signal due to anxiety. I am worried about the consequences that What may happen next? Please answer. in Germany, normally the driver is liable only. How do you pay a German traffic ticket? I was recently traveling in Germany on holiday and upon my return home received notice of a speeding infraction. I expect the ticket to follow. I live in Canada, how do I pay the violation? you should find the information right on the ticket itself. Hello. I got my driving license taken for canabis. I payed 650 euro penalty, but i don’t wanna go through MPU. Is it a problem if i relinquish my residence in Germany and go back home? normally, there should be no problem if you don’t want to drive in Germany any more. Is there any restrictions with where a speed camera can be placed in Germany? A couple of weeks ago I was driving in Marburg, for the first time, at 10:30pm. I came around a right hand corner in an open speed limit zone, so I was driving at 170km/h, and on the exit of the corner there was a 100km/h sign so I started slowing down but maybe 100m into the 100km/h there was a speed camera. So now I have a fine for driving 148km/h in a 100km/h zone. I find this really unfair und I can‘t imagine it‘s legal because what are you supposed to do if your doing 240km/h and then have 200m to get down to 100km/h. Thats more dangerous than using a few hundred meters more to slow down. So if someone can tell me if there is and restrictions with where speed cameras can be placed that would be great. the rules differ from federal state to federal state. In most states a speed camera can be placed 75 to 200 metres behind a sign. In some there are no special rules. I got fined few months ago cause I passed with a red traffic light with my bike but still I haven’t received any mail. I think it’s because of my anmeldung which is going to be registered in October. Can I pay online or I need to wait for the mail in any case? I got fined in march cause I passed with a red traffic light with my bike. I still haven’t received any post at home, I just got the green paper the police gave me at that time, but it is not possible to pay without any information on how to. What shall I do? I would like to avoid paying more than 60Euros. you will have to wait for the penalty notice. I have an official permit from the parking authority to park my car in an area of Berlin for a four week period, and it is displayed on the windscreen. It runs out on 15th september. This week I have received two tickets but I am uncertain why. The car is parked properly within lines and in the appropriate zone. The tickets have no parking officers number or an official tracking number of any kind (is that normal? ), they both say it is a first warning and that I will receive a letter. There is a bank account on the back of the ticket, which I am supposed to pay the fine into, but no fine amount is listed. The only identifying information on the ticket is my car registration, the date and time and parking place number and street name. Is this normal? How can I know how to proceed. There is no contact telephone number on the ticket. I was in Germany for holidays, everything went good. When i get back in my country, i saw that I had already a 25 euro fine in my door that comes from Germany,Hanover. It says that I was driving with 90 km/h in a 80 zone. I send this papers to my friend there and hi said to me that he has paid them online and everything is good, but he didn’t send me any picture that the fine is payed. All want to know is how can I check my fine online, if it is paid or not ?? Ps. I don’t want my fine to get bigger, so please help me!!! We just got pulled over. And my friend driving was caught after being at festival having taken several narcotics. His narcotic use was the night before. His blood was taken at a local station. Apart from the fine. What else could he be looking at? normally, there will be criminal proceedings if they find drugs in the blood. Yesterday I rented a car in Germany and I opted for a full insuarance when I rented the car (Vollkasko), while driving on the autobahn I was on the left most lane , another car which was on the lane next to me drifted onto my lane and both the mirrors colided. There is a very small damage on his mirror and my mirror has a very visible scratch. We stopped the cars, spoke that we need to call the police at the next pertol station. We further drove and upon reaching the petrol station I called the police. The police came asked what happened – he said I was at fault and I said he was at fault. Finally the police told me that my fault is not much and I will get a letter later asking meto pay 35€ fine. He also said the other person may have to pay a fine of 100€ as he was trying to overtake from the right. Police said its a minor case and hence both party insuarance will handle the issue and its got nothing to do with the police. We exchanged information regarding name, insuarnace company, address, telephone number etc. 1. What is the implication of this accident and fine. Will points get added to my driving license? 4. What is that 35€ fine that I will have to pay when I get a letter- as told by the police? What are the different scenarios that I can expect? Hello , I been Caught speeding in Germany. I know the value of the fine but I get one speeding point. I want to know how long that point it’s gonna follow me. My driving licence it’s a UK one. Please let me know. Thanks. I hold German driving licence from December 2017. I was driving towards Hamburg from A7. I don’t smoke, and also do not consume alcohol while driving. On the Autobahn there was no traffic sign for speed limit 100 kmph. And now I got a ticket from Landkreis Göttingen which says that the limit was 100 kmph and I was driving at 156 kmph. I had realized the red flash when I was driving, and also I told my wife that there were no speed limit sign and still I got flashed. Now, I am in the probezeit, I saw the fine is upto €240 and one month driving ban as penalty. My question is, can I protest this? if yes, then how? or I must blindly pay the penalty and bear the consequences? I hope I will not get a permanent ban on my driving licence. please contact a lawyer which can evaluate the chances of success of a protest. Hallo, train has stoped and didnt gave a sound that passengers will exit and there was a green light and I went on second track and passengers start to exit and he gave a sound so I suddenly stop so what should I expect? I received 3 notices from my rental company that i was charged administrative fees for passing on information for speeding tickets. Received nothing from authories yet but i have both reference number for the fines. Where can i check what the fines are pls. you will have to wait to find out until the speeding tickets will be delivered. I got pulled over for speeding and do not have a valid German drivers license. I was supposed to get a license after 6 months of moving to germany, and I have been here 10 months. I am so scared! What penalty can I expect, and fees? Do I need to hire a lawyer? if you drive a vehicle without a valid driver’s licence, this is a criminal offence. This can lead to a prison sentence (up to one year) or a financial penalty. I got photographed on a motorway in Germany back in beginning of August. The speed limit was 100 km/h and I think I was doing about 150 km/h. It’s been nearly two months now but I have not had a ticket. I just wonder what the turnround is for those to be issued? My question is i was driving on german motorways and speed was limited to 70km in construction area. It was so rainy and can’t see good due to truck was before throwing water on windscreen. I over take 80/km and flash. Can you explain me how much is speed fine. Hello. I got a fine and driving ban for one month from German police. I would like to know when the driving ban starts and ends? I want to know the range of fixed speed cameras? When do they take picture? 50m? or less? I am a fairly new driver (under 50km driven) and recently got a company car. I drove through 2 yellow lights. Is there gonna be a problem? Also, in the 3rd day, after driving, I found a large scratch on the car but cannot understand where it comes from. It is a long (20cm) thin (1cm) scratch on the rear side bumper on the driver side. On that trip I only took 5 lefts. I didn’t hear the scratch, that is what scares me the most. Do german drivers try and stop you if you crashed them? How can I find out what happened? if you drove through a yellow light, you will have to pay 10 to 15€. It could be possible that another car damaged yours when it was parked. Otherwise you should have noticed something. To find anything out after a while might be pretty hard if the other driver did not report anything. I have speeding offence in Germany with 89km over the speed limit. I have paid the penalty of 600 euro but also state that the German police will suspend my licence for 3 months. I am UK Resident i was wondering whether German police can suspend my UK licence for 3 months. it’s any website to check and pay a German speed ticket? Hello, Tonight I drove in the street, the Polizei saw my Car and they did stop me. I did stop the Car and the did stop behind me, my Violation is I forgot to turn on the Abendlicht. The police told me its already 15 minutes and I am driving without Abendlicht. And I sais I really forgot it to turn on. I was living in the same ort i did just watch movie in cinema. The police asked me if I did drink Alcohol and I said i dont drink alcohol thats true. Then he asked my license and the other one I forgot the name.the one gehört the Car. And also he asked me the firs aid kit if I hav the I showed to him. Then he give back my license and rhe other one green card. My Question is do I have to pay fine? Do they send me my fine in mail? I am new driver license holder. you might have to pay 20€ if you did not use the dimmed headlights correctly. im croatian with residence in munchen and i have croatian driving licence (eu)…now i have 1 month of ban from german traffic becouse of speed violations and my question is there any way to keep my croatian driving licence and somehow just get a ban from german traffic becouse i need my licence often otside the germany? From Left turn lane at a crossing, I drove straight Carefully giving way to the other cars but the one behind seems annoyed and noted the car number plate details. What could be the consequences. 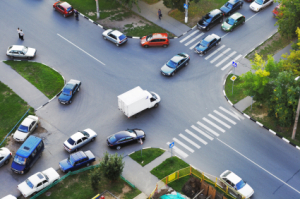 we do not know which kind of violation the other driver thinks you have committed, so it’s pretty hard to determine what kind of consequence there might be. How does one receive there ticket (legal code)? for instance a parking ticket by the local city in Germany. Which address would they need to send it to to insure that the responsible individual receives the correct ticket. If I never received a ticket would I still be held responsible later on for not getting it? Or is it the individuals responsibility to notify the legal authority if a fine is pending but not received? How does one make sure he receives the ticket legally? the ticket will be sent to the car owner. He can be found via the licence plate. You do not have to inform the authorities. We have a speeding notice which indicates that there is a right to refuse to disclose who was driving the car. What are the implications of ticking this box? you have a right to refuse to disclose who was actually driving, if the driver is a close relative. If the driver cannot be found, you might have to keep a driver’s logbook. I received a notice about a ticket on BAB 3, km 48,050, Gem. Neustadt/Wied, FR Koln from 2 months ago. I was going 126, but apparently the speed had reduced to 100 and I was not aware. I was traveling with a lot of other cars at the same speed and did not see a reduced speed sign. I live in the US and am having trouble understanding the notice I received. There is not a fee listed on the paper. What is the best way to proceed? I will be traveling back to Germany in late December. Can I deal with it then? a lawyer can advise you on what’s best to do. Hi 03.september I was coming back to England.I past from cologne city I was in otobahn.After 2 weeks I receive a letter regarding exceeding speed limit on the letter says buildup area the speed limit was 100km but I was doing 148km 48km over.The fine was 160 euro and 28.50 euro expenses and fees total fine is 188.50 euro which I have paid by IBAN.1 month band.After the payment they send me a other letter the fine was increased 348.50 so they want me to pay other 160 euro.Which is not fair.I couldn’t speak German so my cousin call the German authorities why it’s been increased they said because I didn’t send my UK driving license.But on the letter doesn’t says that please send your UK driving license.Im a British citizen and I never lived in Germany.I was just passing through from cologne city.By law German authorities not allowed to take or hold my UK driving licence.Only I need to pay the fine.Which was 160 euros also they make me pay for the fees and expenses.This is not fair at all. Hello. My husband drove a car and he has no driver’s license. The police got the car. What penalty will he soon face because of what he done? Thank you. I got caught drink driving in Berlin, then was taken to the police station for blood test. According to online BAC calculation, it seems that i had around 0.09 promill. There was a gap of 2,5 hours between my last drink and the blood test so i was already sober during the test. Im guessing that my average alcohol level was about 0.07. There is no accident or crime made, i was suspicious and police said that i wasn’t driving safe. My driving record is very clean and its the first time that its happening. Will my license get cancelled? and if does, what are the ways to get the license back and what is the procedure? How long will it take? Many thanks in advance. I was stationed in the US Army in Germany in 2012 and was flashed 2 times for speeding. I did not receive the tickets prior to be assigned back to the US and now I am looking at working for the US in Germany again this time as a government civilian. How do I go about paying the tickets, this was on my USEUR Drivers License. under normal circumstances the tickets should be time-barred. Hello. We received a penalty for €10 from this summer but we saw now the letter. How much I need to pay now. Return day is 27.09.2018 so we are more then 1 mounth late. if you do not pay punctually, official proceeding will be initiated. This means that you will most likely have to pay an additional sum (28,50 Euro). I have a German driving license. The police stopped at the autobahn and the tests were positive for THC. Small amount. I received a letter few months later asking me to do few more tests to prove I was clean, which I did and the results confirmed I was clean. I sent the results to the driving authority and still they sent me a letter stating that they are banning me from driving. I have 10 days to appeal. What should I do? The funny thing is that the police dept who stopped me at the autobahn is also charging me for driving under the influence and asking me to pay 500 euros and handle my license for 1 month. Which means, there are two cases going on against me that contradict themselves. I don’t know what to do. Please advise me. I was driving through a signal when it was yellow. My mistake was that I speeded a bit . I was flashed twice . Not sure if it was for the red light or because of speeding . It would be great if I could get a feedback on that. wait for the fine to get this question answered. I was driving within the city limits. at the intersection, I drove over when it was yellow. It felt like I was flashed twice. was it because of the speeding or jumping the red light ? a driving ban only affects the ability to drive in the country of the official directive. I got a problem because I got speeding ticket by radar on tripod. It was in August and I still don’t know how much I need to pay. How long I need to wait? A month back I drove at 126 kmh in 100 km zone. I got a fine and got 1 point in my licence. I did the same mistake and got another point. Will I have to surrender my license for a month? in that case the ban on driving as a incidental legal consequences should appear in the official order. I have a $20.00 fine. What is the best way of paying this, Is there a online method please. I have a fine regarding very low Abstandhaltung in Autobahn at 144 kmph of only 19 m, where the rule says 72 m.
So, I have to pay fine of 240 € with 2 points in Flensburg and 1-month driving ban. can I submit the driving License anytime in 6 months time frame after paying the fine as I am not in Probezeit? if it is your first driving ban within two years you can chose when to start the driving ban – provided, that you chose a date within 4 months after the driving ban is final. I had an car crush last year while i was working in Germany and at that time i had a romanian driving licence. Nowdays ive received a court decision in wich my driving licence is going to be banned for 3 monts. The only issue is that now i have a british driving licence. Therefore my driving lincence will be banned only in Germany or i should expect that my driving licence to be banned as well in UK? I have recieved by letter, notification of a fine for overtaking another truck in a no overtaking section of road. How much is this likley to be. N.B. whilst driving my truck. I got a ticket for the red light jump of 200Euros fine and 1month driving prohibited. I am confused with next step and I have paid fine and should I have to submit my driving license to authority and from when my prohibition will start and should I drive the car before submitting my driving license(I don’t have a probation period of 2years on my German driving license). Please help me. I have a german drivers license and was pulled over for a random inspection. I did not have my license on me as I forgot my wallet at home. I passed the breathalyzer test and then the officer said I smell like marijuana and that they wanted to test my urine. The results came out positive and then they tested my blood. This was my first time being pulled over but I do have some minor speeding violations and 1 red light violation. What should I expect? normally, the administration will dispossess the license after someone has been pulled over because of drugs. I have German licence and took a rental car around Venizia, Italy in Oct’18. Now I got a letter which says that I was driving at 107 km/hr in 90 km/hr Limit road with a fine of 135.10 euros (which I paid) and an additional letter saying that I need to send my address & copy of licence because I get 3 Points as well. Isn’t it too much or? Will these 3 points equivalent to 3 Points in Germany? Also, both the letters were in German. Please suggest. Thanks! Hi! I have mislaid the battery cover of the truck while driving and caused a very small damage to a dacia logan. The lady called the police and I got a 150€ fine. Is it normal? Whatever, the policeman asked me how to pay this, cash or credit card. My answer was credit card and he asked me to give you my credit card that I did. I received a sales slip with my name and card details and also was marked the amount to be paid. What’s next? How can i pay it? How long does it take for red light violation ticket to arrive. I feel might have violated red light. Thank you for sharing superb information. I am impressed by the details that you have on this web site. It reveals how nicely you understand this subject. This is very useful information when you are driving in Germany and you should follow all the rules and regulation while driving. What is the fine if somebody drive in the line of on coming cars by mistake and going back to his line quickly? I was in Germany on June 2018 and rented a car from Hertz. On July I got a letter from Hertz saying that I made some traffic violation and another report will follow. I never got the another report. Hertz couldn’t provide more details when I asked them. How can I check what kind of traffic violation did I make? Can I contact some general authority in Germany with my passport license and ask them to check? I was driving and got a random traffic control. They said I was driving 3 days over my 6 months. What will happen? Les autoroutes allemandes sont elles toutes sans vitesse limite? Cet article vous explique le système de pénalité routière allemand en langue francaise. Apprenez tout sur les règlementations de stationnement, de feu rouge ou encore de documents à emporter.